MovieBus operates a fleet of 400 busses in Mexico and Latin America. 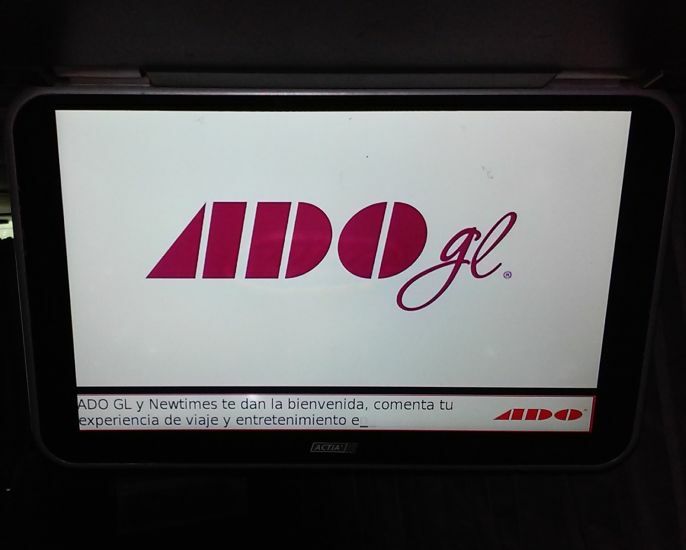 The company is well-known for its on-board entertainment options, offering passengers a selection of current movies and television shows, as well as advertising and other informational programming. The entertainment package is tailored to each bus line and varies based on the route. Long-haul routes feature movies, while shorter, urban routes feature local advertising, national news and social media feeds. MovieBus is the only coach operator in the area with the rights to display this video content, with agreements in place with major entertainment distributors. Multimedia rights are tightly controlled, with content updates traditionally delivered via hard drives supplied by the distributors. To streamline this cumbersome process, MovieBus transitioned to a streaming-based solution using BrightSign’s LS422 and XD1032 players. Now new movies are delivered during stops in the bus terminals over wireless internet access (Wi-Fi), and relevant and timely content specific to upcoming stops is delivered using BrightSign's geo-fencing feature.